Terri Carrion was conceived in Venezuela, born in New York, raised in Los Angeles, and now lives in Northern California among the redwoods. 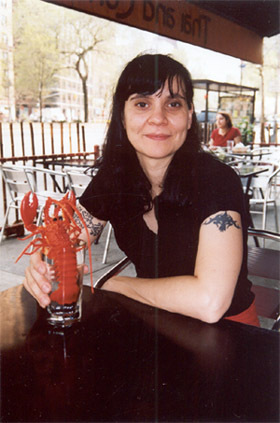 Her work has appeared in The Cream City Review, Slipstream, Hanging Loose, Pearl, Paper Tiger (Australia) and Miami Street, among others, and online in Jack Magazine, Mipoesia, Poetic Inhalations, and Dead Drunk Dublin (Ireland). Her photography has also appeared online in Jack and Dead Drunk Dublin, and in print in Gulf Stream magazine.